What a week! And it’s only Wednesday. I’m still blundering about, but with less-disastrous results so far. 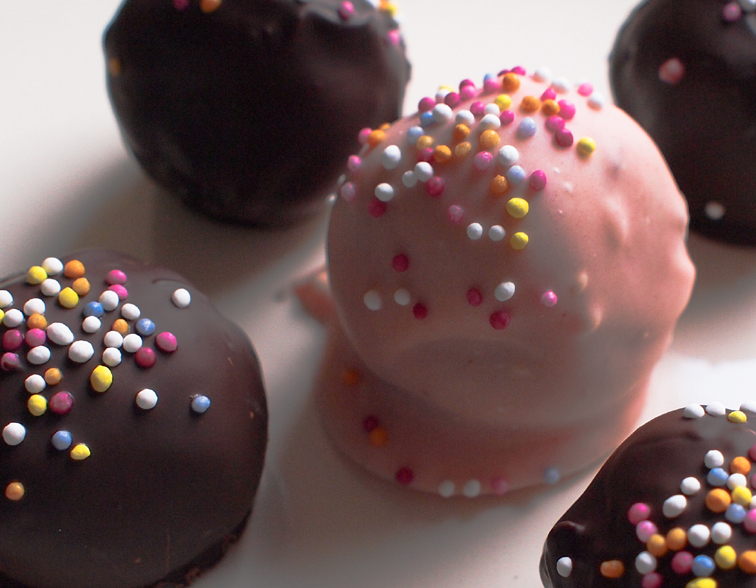 If I make it to the weekend, I’ll be making cake truffles. They’re perfect for comfort eating and impossible to get wrong. Prepare the cake according to the instructions on the box. Once it’s cooled, place it in a bowl and mash it with 1/2 the can of frosting. Roll the cake/frosting mixture into balls, place them on a baking sheet, and pop them in the fridge for 30 minutes.